I am an experienced Artist working in Public Realm, Urban Regeneration and Healthcare environments for Local Authorities, NHS Trusts and the Private Sector. I work within diverse, multi-disciplinary project teams delivering major Capital Projects as well as smaller schemes funded entirely from charitable donations. I have delivered projects in sensitive Healthcare environments such as Mental Health, Chemotherapy and Cancer working and liaising directly with all service users and clinical staff. I offer clients multi-disciplinary skills ranging from contextual research to working with a diverse materials palette and have a broad knowledge of current practice in the built environment. I propose to influence design processes and outcomes from the outset via contextual, site-specific research and collaborative consultation. My work focuses on place & identity, with particular emphasis on local vernacular and how this is preserved, exposed & expressed as a visual narrative, telling stories about context and place. I am fascinated by the natural and man-made world. Geology, botany, species diversity, archaeology and astronomy: a continual enlightenment and am equally inspired by our collective human achievement in language, music, architecture - including our communities and the way we navigate & use our man-made space. I would hope to contribute positively to your projects by bringing the minutiae of nature and human existence into focus and to reinterpret this on a larger, more visible scale, affirming the natural and human in what can sometimes be unnatural, de-humanised public spaces. Bespoke interiors & artworks inspired by a ‘Walk in the Tameside Landscape’. Commissioned by Tameside & Glossop Integrated Care NHS Trust. 65 bed Extra Care Residential Facility for Riverside Ltd. Digitally Printed Glazing Vinyl and bespoke Furniture / Cabinet in collaboration with Angus Ross Furniture and Wall Mounted works. £4million public realm & transport interchange project. My role is to bring a contextual narrative to the project with which to influence the design outcomes. This is a multi phase project currently nearing completion on site. 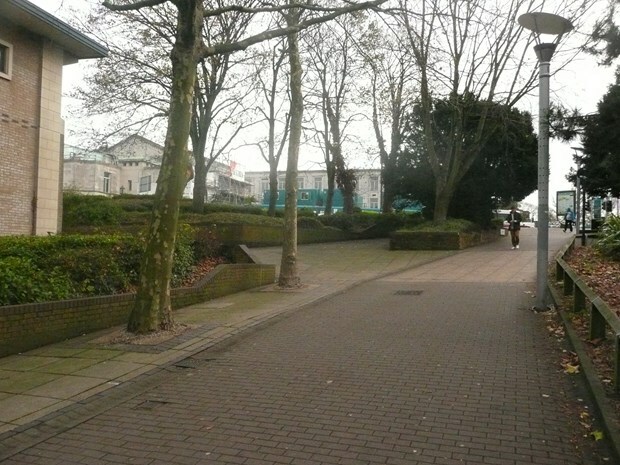 Commissioned by Balfour Beatty Living Places & Southampton City Council. Contractor: BBLP. Specialist Concrete Pre-Cast: CCP. Bespoke Granite Artworks: Hardscape. Lighting Consultant: Michael Grubb Associates. 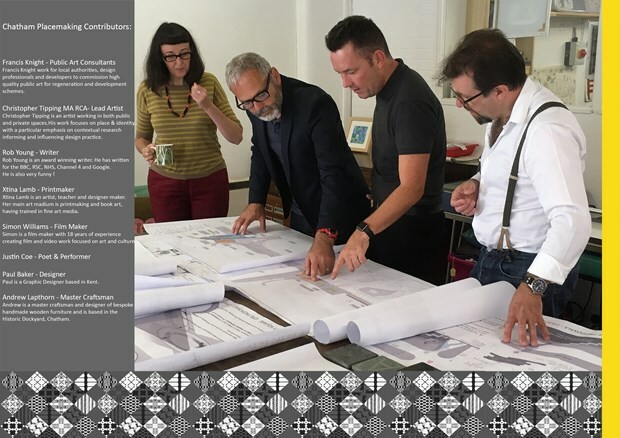 In September 2015 I was appointing as lead artist to work in collaboration with FrancisKnight Art Consultants and LDA Design to identify and scope creative public realm opportunities within Phase 1 of the strategic Chatham Placemaking Masterplan. 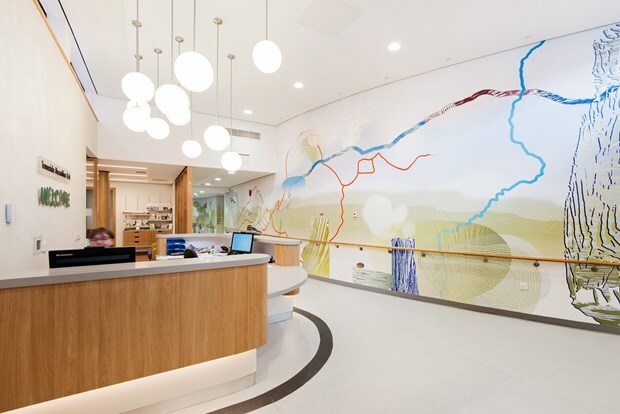 Additional artworks and installation of digitally printed wall coverings to patient ward areas. 2014 - CENTRAL CHELMSFORD - 'Burgess Springs' - Chelmsford. 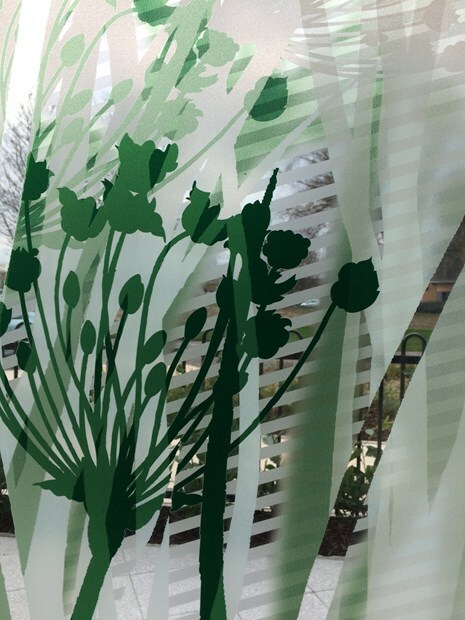 Making places - creative interpretation strategy & embedded works to celebrate the life of Anne Knight of Chelmsford within the public spaces of this large development for Genesis Housing Association. 2014 - SHEFFIELD HALLAM UNIVERSITY COLLEGIATE CAMPUS - 'Heart of the Campus'. HLM Architects, Turner Townsend, Graham Construction, The Cutting Room, VGL Ltd.
2012 - 2014 - SOUTHAMPTON STATION QUARTER NORTH - Transport Interchange & Public Realm Strategy , Balfour Beatty Living Places & Southampton City Council, Southampton. 2012 - WHT & T - Building Schools for the Future - 'Bransholme Seed Cloud' - A site specific artwork digitally printed on optically clear vinyl. Commissioned by Esteem Consortium , Winifred Holtby Secondary & Tweendykes Special School., Bransholme, Hull. 2009 - CARNIVAL HOUSE, SOUTHAMPTON - ‘Rossby Diptych - The Largest Longitude / Time Plot in the World' - Bespoke Cast concrete Rainscreen. Project Collaborators: National Oceanography Centre & Decomo Belgium. Commissioned by Development Securities Plc. Architects: Auckett Fitzroy Robinson. Contractors: Miller Construction. Elizabeth Smith, Public Art Officer for Southampton City Council. 2009 - COMBE DOWN STONE MINES PUBLIC ART PROJECT - '1479 PLATES' - The Octagon, 25 Milsom Place Bath. This installation & exhibition was created as a response to the Combe Down Stone Mines Stabilisation Public Art Project & was commissioned by Bath & North East Somerset Council with Frances Lord and Steve Geliot Art Consultants. Project collaborators: Autonomatic - 3D Digital Production Research Falmouth University. Oxford Archaeology. Ceramics Manufacturer & Consultant: Digital Ceramic Systems Ltd. Exhibition build & management: REM Event Management. 2009 - 2104 - KEEPMOAT HOMES, HULL - '16 arc park' - Public open space & public realm inspired by the flight to Darwin Australia by Amy Johnson in May 1930. The park will be at the heart of a development of 600 new homes. Client: Gateway. Developer: Keepmoat Homes. Architects: John Thompson & Partners. Commisisoned by ARC - The Architecture Centre for Hull & Gateway, Hull City Councils Neighbourhood Regeneration Programme. 2009 - THEATRE AND CONFERENCE CENTRE - 'Hornsea Culture' Hornsea Area Renaissance Partnership, Commissioned to research interpretation concept to inform the design & manufacture of concrete cladding panels. The work has been inspired by the coastal setting in Holderness & the archives of Hornsea Pottery. Client: HARP Hornsea Area Renaissance Partnership. Architects: East Riding of Yorkshire & Regional Development Agency Yorkshire Forward. 2009 - NO 1 GUILDHALL - No 1 Guildhall - Atrium Glass Screen - Commissioned by Atlantic Property Developments Ltd. Architects: Capita Symonds. Contractors: Dawnus. Glass Consultants & Manufacturers: Fusion Glass Designs & Pilkingtons. Elizabeth Smith Public Art Officer Southampton City Council. 2004 - GUNPOWDER PARK, WALTHAM ABBEY, HERTFORDSHIRE - 'Boom Bang Boom'. , Commissioned as an artist consultant on the project team to create an interpretive design concept for a new, dynamic country park which could be an inspiring place for the collaboration of arts, science & nature projects. The 90 hectare brownfield site, formerly owned by Royal Ordnance plc was part of a much larger site, which for the previous 200 years, was associated with gunpowder manufacture, weapons and propellants research. Client: Lee Valley Regional Parks Authority & LDA Design.